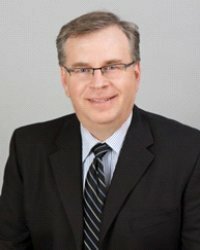 General Manager of AOA-Xinetics, a Northrop Grumman wholly-owned subsidiary within the NG Aerospace Systems sector that designs, develops and manufactures both standard and custom electro-optic and opto-mechanical products and systems for government, industrial and commercial customers. Since the company’s inception, AOX has been manipulating light from undersea to the edges of the universe, providing customers with the highest quality products and services. Dr. Hachkowski earned his SB from the Massachusetts Institute of Technology in Aeronautics and Astronautics and as a NASA Graduate Fellow, completed both his MSc and PhD in Aerospace Engineering from the University of Colorado, Boulder. Among his career accomplishments, Dr. Hachkowski is credited with several patents on a segmented mirror for an optical space telescopes as well as developing and delivering optical products for real-time persistent surveillance ISR missions, astronomy and laser fusion programs.